The Nigeria-based Muslim Rights Concern (MURIC), a human rights organization which promotes, protects and projects the rights of Muslims today announce the approval of the use of Hijab by Muslims during Call to Bar by the Body of Benchers. 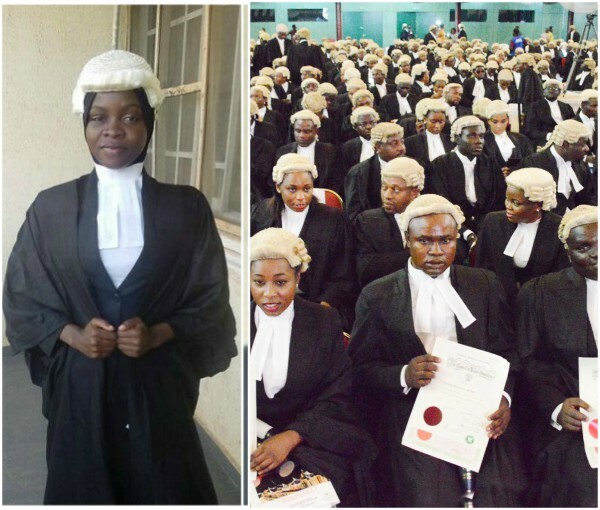 Reports reaching MURIC National Secretariat a few minutes ago, today Thursday 21st June 2018, says the Body of Benchers has approved the use of hijab during Call to Bar. In addition, Firdaus Amasa has been invited to attend the Call to Bar coming up this July 2018. We like to express our sincere gratitude to the Body of Benchers for painstakingly reviewing the case and for allowing professionalism to be the deciding factor. MURIC thanks all Muslim leaders who intervened on behalf of Firdaus Amasa. We are also grateful to the House of Representatives for the positive role it played in this matter. We felicitate with all Islamic organizations as well as Muslim brothers and sisters who stood with us all these days, particularly during the aborted public hearing in the National Assembly.